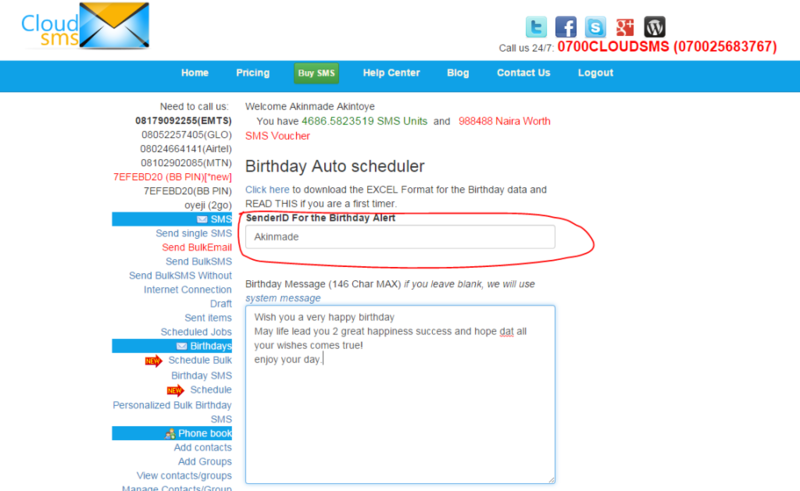 You can now send Personalized birthday wishes to all your clients and customers without the stress of having to remember each one’s birthday. 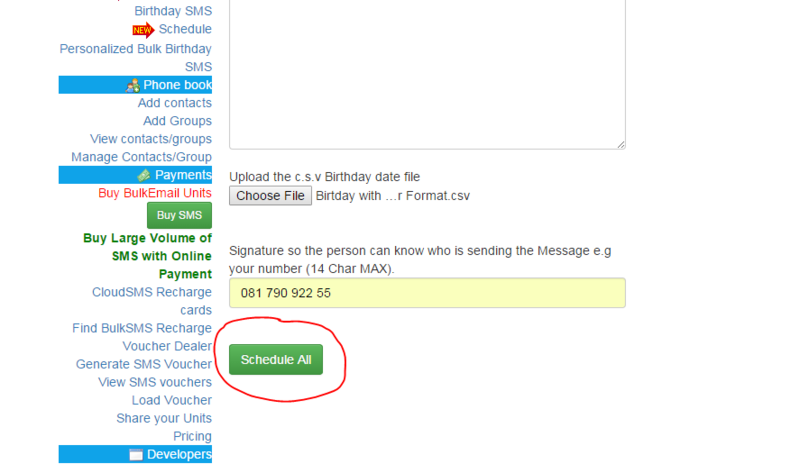 Don’t Miss Your Clients Special Day Anymore. 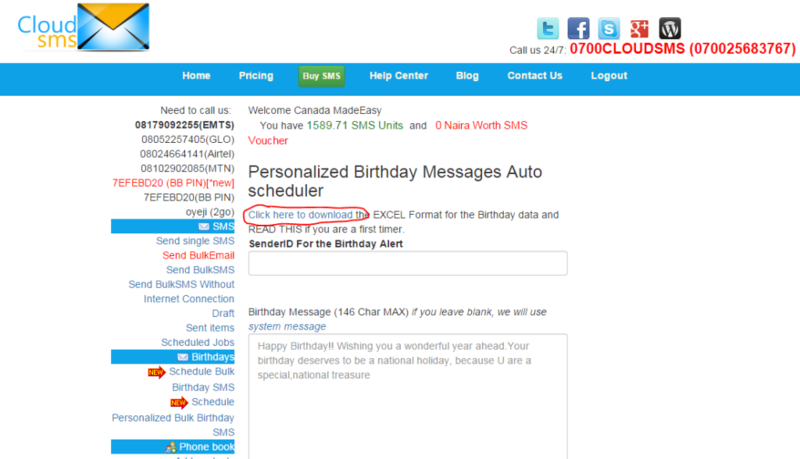 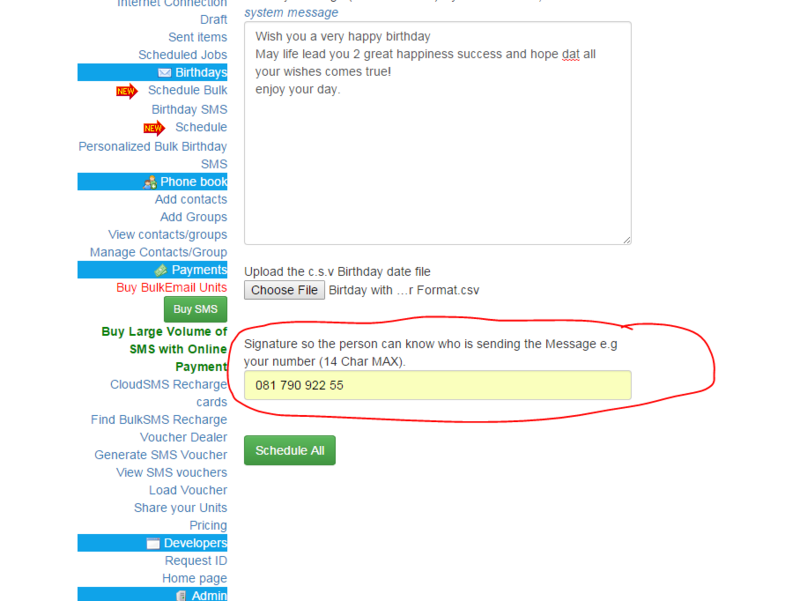 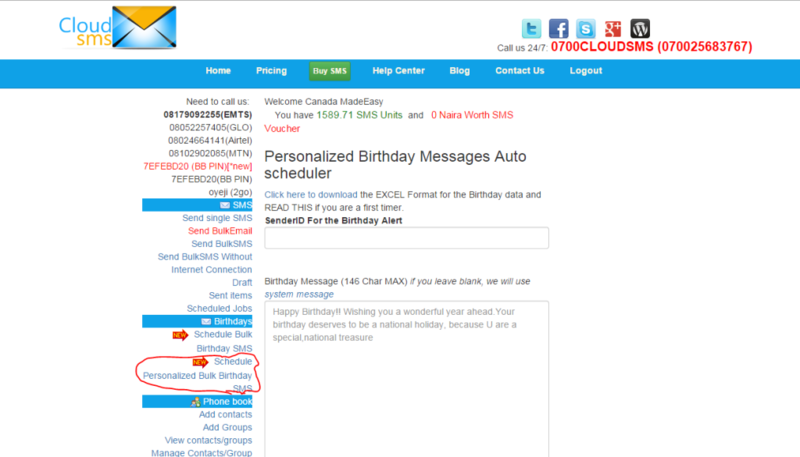 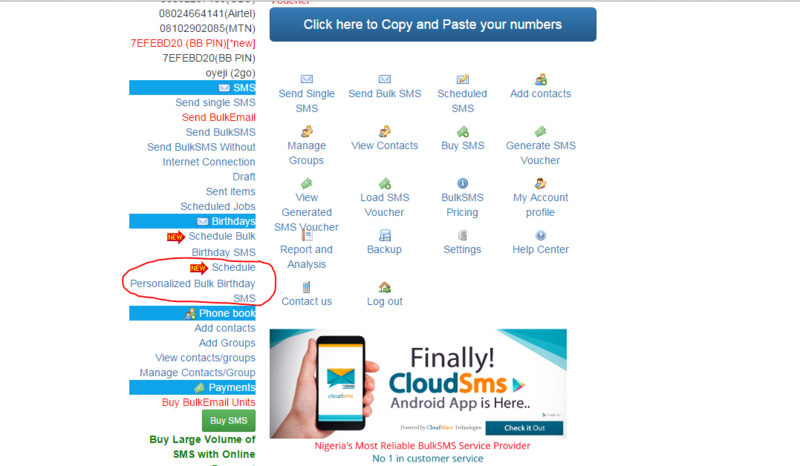 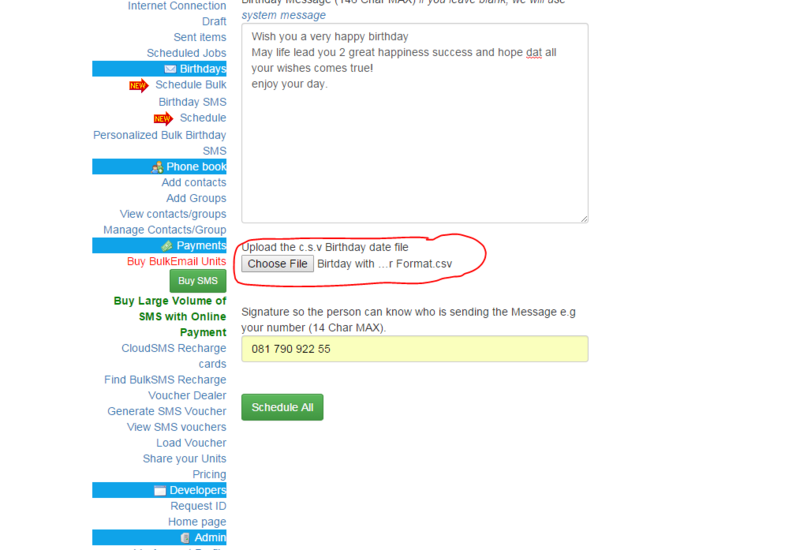 By Personalized, this means that the person’s name will be included in the Birthday SMS sent. Enter the Birthday Message you want to Send to each of the users, if you don’t add any Message the Default System Message will be used. 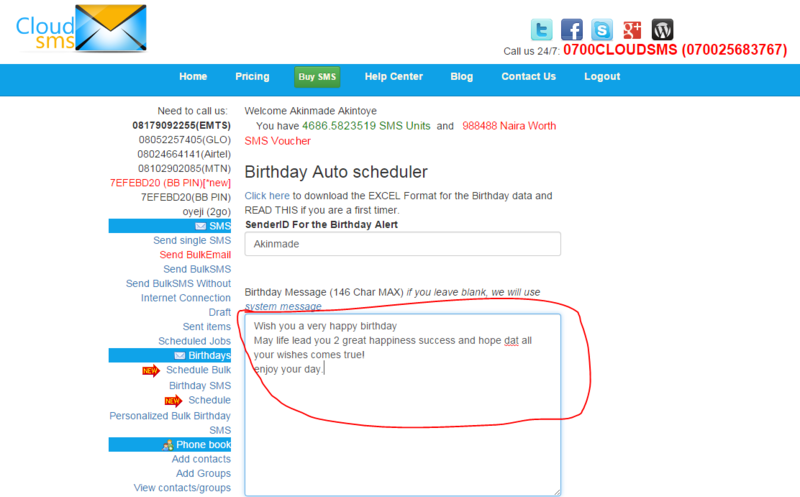 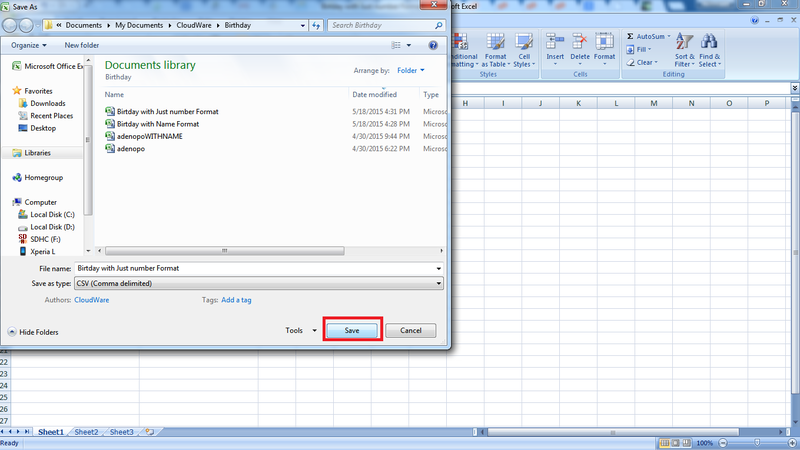 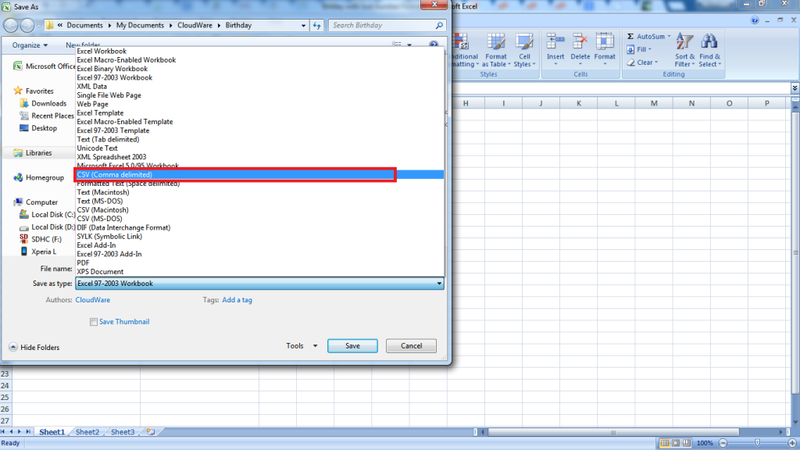 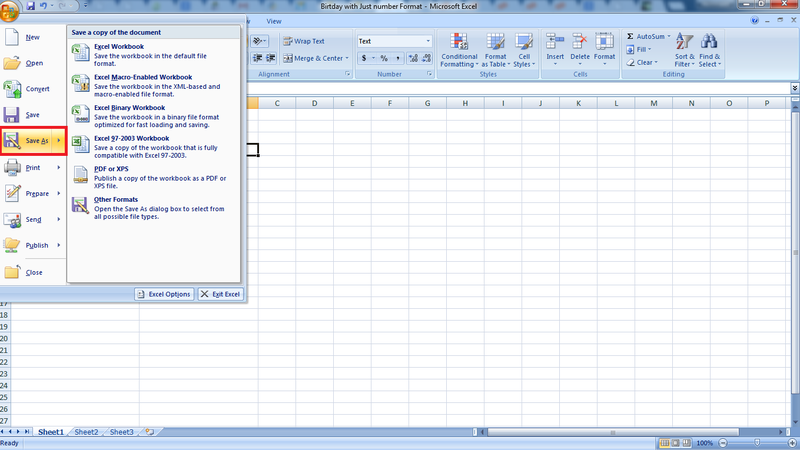 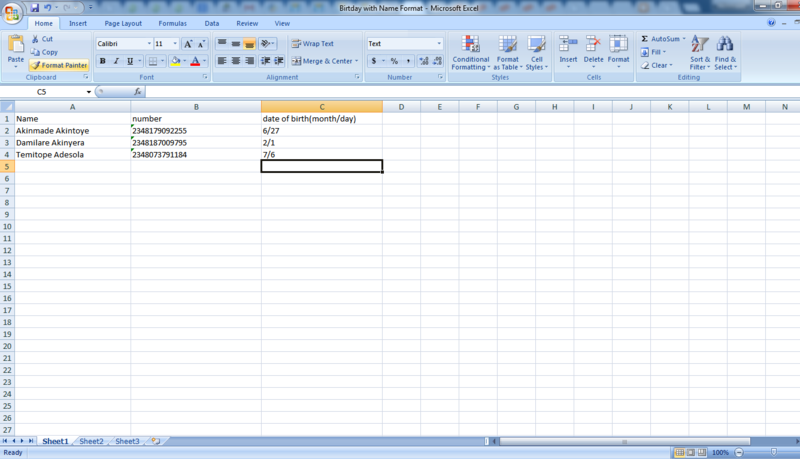 All things being equal and with you following the above steps, Viola, you have successfully scheduled Birthday Wishes to all the people you have in the CSV file.